Crazy plant ladies are my favorite people. They (we) are so passionate about nature and that enthusiasm is contagious. Today I want to take a minute to acknowledge some of the amazing historical ‘crazy plant ladies’ whose love of botanicals influenced the way we view plants and the study of plants today. 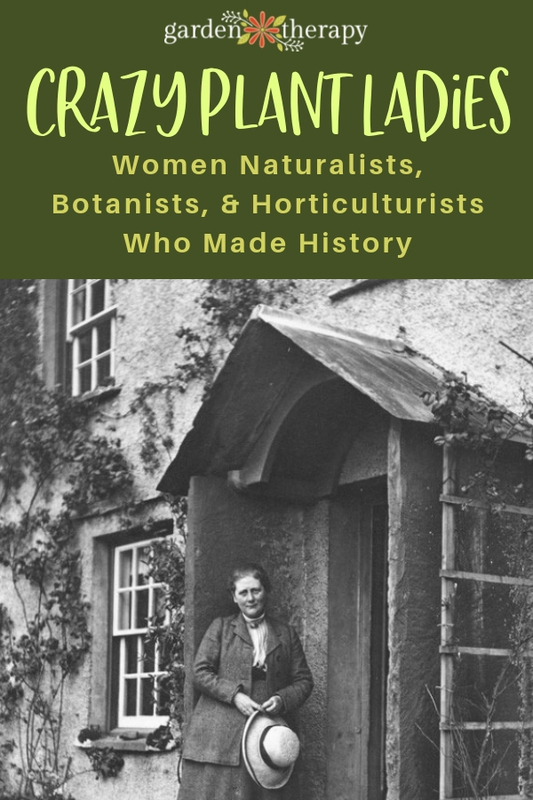 The women in this list are not well known (or at least not well known for their work with plants) but have made important contributions to the field of botanical sciences and changed the way we think about nature. This is not to say that these brilliant women struggled with mental health or were labelled insane in their time! In case you didn’t get the memo, Crazy Plant Lady is a badge now worn with pride by the many women who confess that they have an enthusiastic love for plants and nature. Yep, you can get a T-shirt or a mug that announces your passion for plants to everyone around! And it’s thanks to these women that we can wear the title with pride today, because of their genius and research well before it became trendy (or even accepted!). Historically, the appreciation of nature was not considered to be a specifically masculine trait, so it was acceptable for women to collect, record, and draw natural objects. Although excluded from most scientific studies at a professional level until recently, botany and horticulture was seen as an acceptable hobby for women and so it became a way for them to become involved in science and research at a time when science was all but closed to women because of their gender. 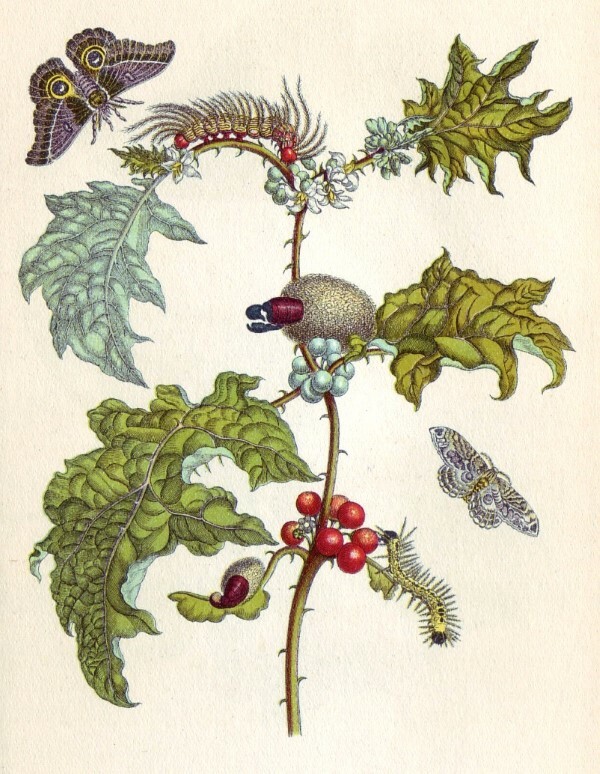 Merian was taught by her painter stepfather how to draw and paint and became very skilled in visual arts. She published a three-volume series of beautiful botanical illustrations called Neues Blumenbuch, which translates to The New Book of Flowers. The volumes were not presented as having scientific value but rather as artful designs to be used by readers in embroidery, painting, and other arts and crafts. However, the precise drawings of delicate flowers with carefully detailed insects look like the work of a naturalist more than a designer. Merian went on to focus on entomology. At a time when insects garnered very little scientific interest because they were seen as inconsequential at best and disgusting at worst, Merian became fascinated by insects and made it her mission to observe them. Over her lifetime, she collected and observed the life cycles of 186 different insect species. In 1679 she published The Caterpillars’ Marvelous Transformation and Strange Floral Food, a detailed study of the life cycle of butterflies. This was not an altogether new field of study, but Merian was the first person to carefully observe the eating behavior of caterpillars and discovered many individual food plants that are necessary for different butterfly species. 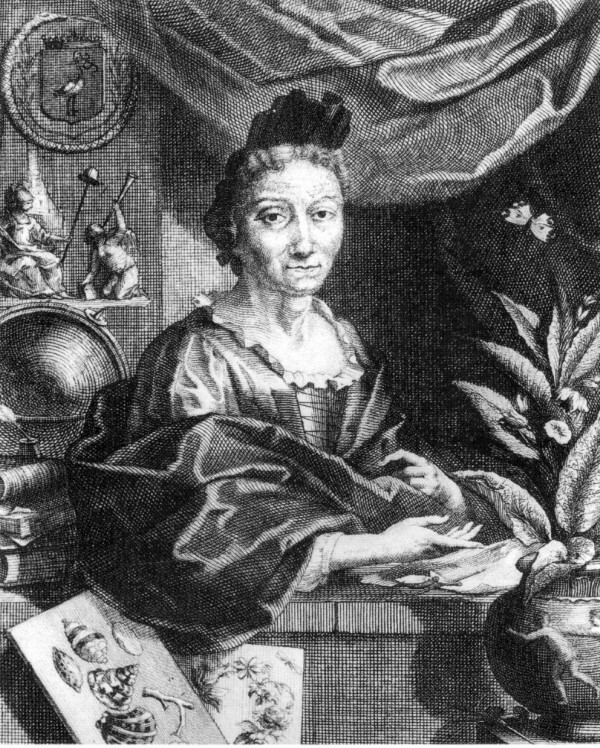 In 1699 Merian went on a self-funded expedition to Suriname, where she observed and recorded many different plant and insect species then unknown to Europeans and published her findings under the title Metamorphosis insectorum Surinamensium. Her work went on to influence many scientists, including Carl Linnaeus and Charles Darwin. 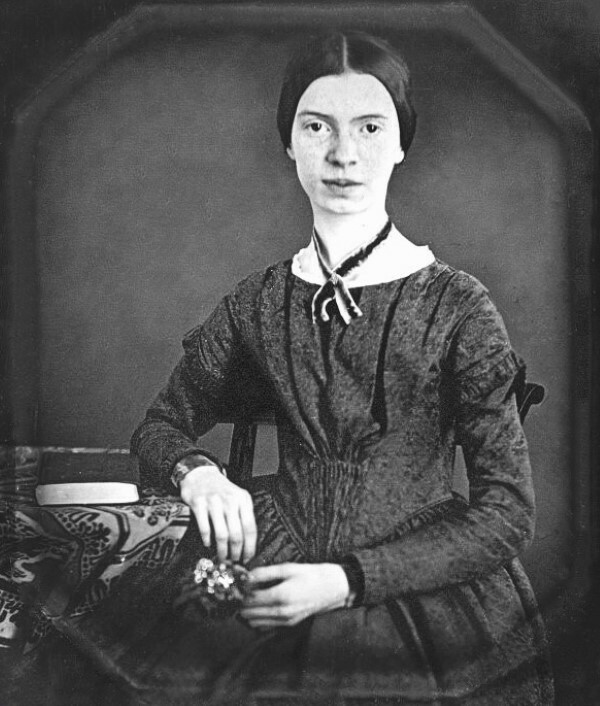 In 1841, Atkins began using a camera, making her either the first or one of the first women photographers. Her interest in photographic images led to her use of the cyanotype photography technique to record images of plant life. She became enthralled by seaweed, collecting and drying specimens meticulously and then creating cyanotypes of each specimen. 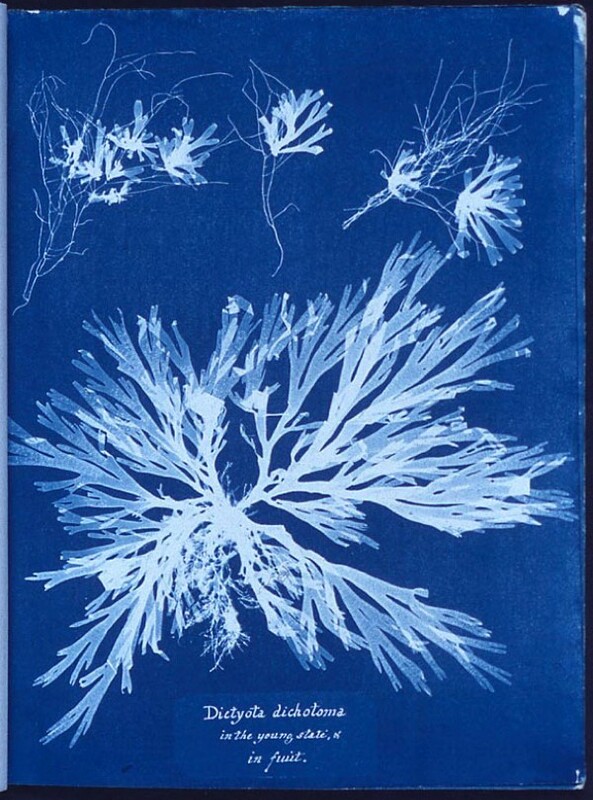 She published her seaweed cyanotypes in Photographs of British Algae: Cyanotype Impressions (1843). This is considered to be the first published book of photography. Growing up, Atkins was very close to her father and they bonded over a shared interest in science. Atkins became skilled at scientific illustration and developed a fondness for observing and recording the natural world. She collected and dried various botanical specimens for her own interest, and later used these specimens to make “photogenic drawings,” a way of creating photographic images using light-sensitive paper and light exposure. Better known as a poet, Dickinson was also an avid naturalist in her own right. She was also extremely fond of gardening and the fern-and-flower filled glass conservatory that her father built for his daughters at their family home. 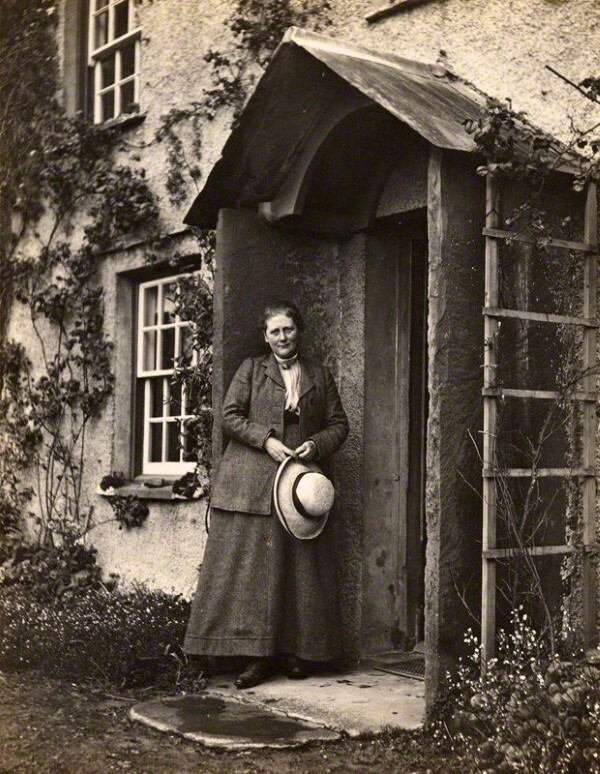 Dickinson was actually known more for her skills in gardening and botany during her lifetime than she was for her poetry, and she studied botany at Amherst Academy. Over the years, Dickinson collected over 400 plant specimens, pressed and identified, in her personal herbarium album. The original herbarium is kept in the Houghton Rare Book Library at Harvard University, but the entire album has been digitized and can be viewed online here. Maxi’diwiac, also known as Buffalo Bird Woman, was an Indigenous Hidatsa woman living in North Dakota whose extensive gardening knowledge was transcribed and published by anthropologist Gilbert L. Wilson in the book Buffalo Bird Woman’s Garden in 1917. The book contains an account of a typical year of gardening and cultivation in Maxi’diwac’s life. It includes detailed descriptions of how Maxi’diwiac and her family planted, cared for, harvested, and preserved beans, corn, squash, and more, as well as the importance of ceremony, music, and storytelling as part of the process of nurturing the garden. This record of Maxi’diwiac’s extensive gardening knowledge contributed greatly to the preservation and knowledge of traditional Hidatsa gardening and cultivation techniques. 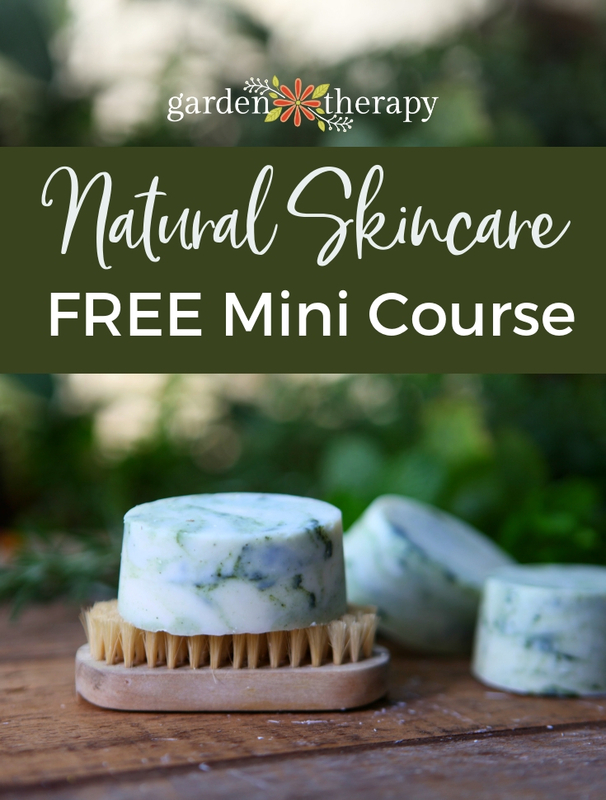 Many modern gardeners use companion planting in the vegetable garden, a technique outlined in Maxi’diwiac’s book and used by her community for many years. By Unknown – The New York Botanical Gardens; The LuEsther T. Mertz Library Vertical Files, CC BY-SA 4.0. Britton was born and raised in New York. She went to Hunter College and became an instructor there after she graduated. In 1885 she married botanist Nathaniel Lord Britton, and the two of them devoted their lives to the study and conservation of plants. She and her husband helped establish the New York Botanical Garden after a trip to England where they were inspired by a large public garden. Britton was especially interested in bryology, the study of mosses, and published 170 papers on the subject throughout her lifetime. There is even a moss variety named after her: Bryobrittonia. She wrote on many other plants as well, particularly ferns and native plants, and by the end of her life she had published a whopping 346 scientific papers. 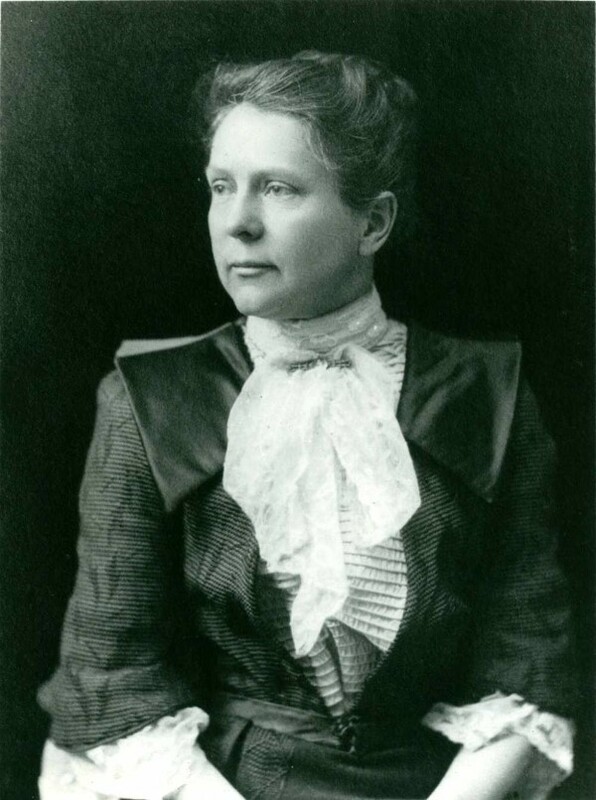 Later, she became active in the conservation of wildflowers and was one of the founding members of the Wild Flower Preservation Society of America, established in 1902. Although she is most known for her beautifully illustrated children’s stories, Potter also collected and studied plant life. She always had an interest in collecting and drawing specimens of all sorts, but became particularly fond of mycology, the study of fungi. 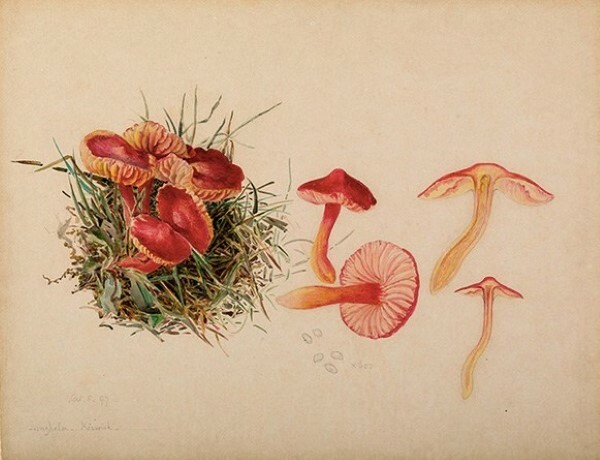 She was fascinated by the stunning colors and varied shapes of different fungi, and produced many detailed, hand-drawn studies of different species of fungus. Potter even conducted her own research and proposed a new theory on the reproduction and germination of spores, which was not taken seriously in her lifetime because of her gender, but has recently become well respected by the scientific community. Douglas spent most of her long life in Miami, Florida, and became very fond of the Everglades. She worked as a writer and journalist to support herself. In 1947, she published her most famous book The Everglades: River of Grass and it was extremely popular immediately upon publishing. The book contains a detailed study of the ecology, history, and cultural influence of the Florida Everglades as well as a call to action to preserve the Everglades, which at that time were in danger due to agricultural and real estate development with no laws in place to protect the area. 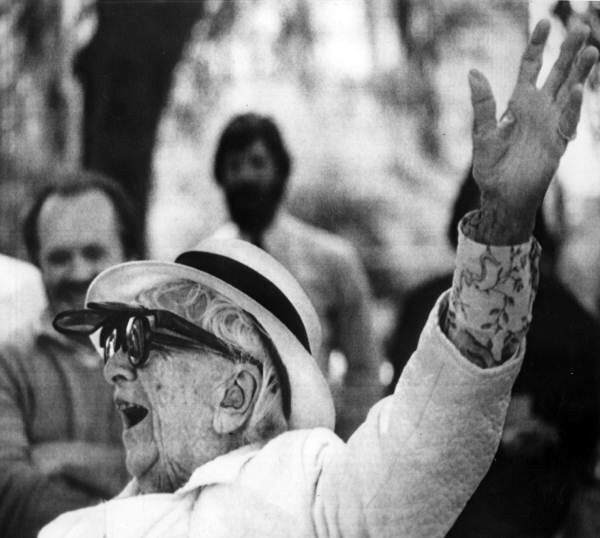 In 1969, Douglas was still working hard to protect the Everglades and she founded the organization Friends of the Everglades and protested the proposed construction of an airport on the land. Her activism led to the proposed airport project being shut down. Ammal was born in India where, growing up, she discovered a love for botany. She moved to Michigan to attend university, where she completed her doctorate degree in 1931 and became the first woman in the United States to earn a PhD in the field of botany. She returned to India and became a professor of botany. Much of her work was focused on sugarcane plants, and through research and experimentation with cross breeding, she managed to discover a way to create a variety of sugarcane that could grow well in India and is widely cultivated to this day. Ammal was also deeply interested in the healing power of plants and their cultural significance, and so she spent time traveling to rural parts of India in order to learn about folk medicines and lore, observing and recording the use of different plants by Indigenous communities in various parts of the country. A gorgeous magnolia, Magnolia Kobus Janaki Ammal, is named after her as a reminder of her important contributions to plant sciences. This post is devoted to women whose contribution to the study of plants is lesser known or unexpected, and is by no means an exhaustive list of all women who made an impact on the world of gardening. That list would include hundreds of women and would have to be published as a very thick book! 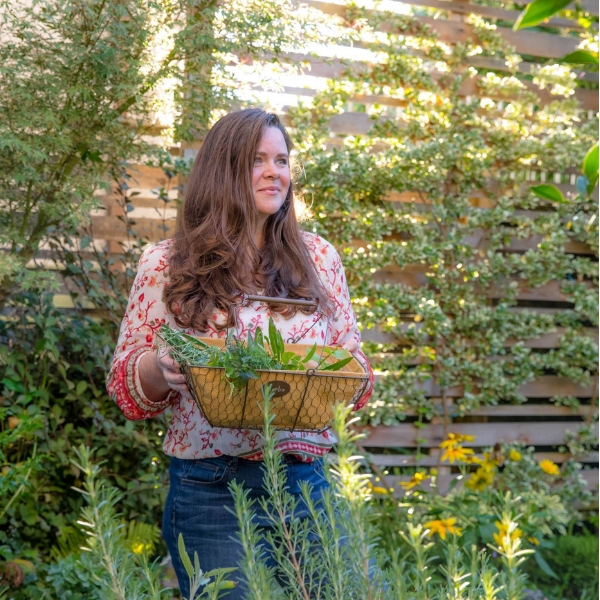 We are continuing with this series on women from around the globe who have made great contributions to gardening and here is the next one. What women would you add to our list? Please leave their name and story in the comments section and do read through the comments as there are some wonderful women there to celebrate. Fascinating reading! I would like to suggest adding Gene Stratton Porter 1863-1924, a best-selling author in her day, known mostly as a Bird Woman but her widely-read novels described plants and trees in great detail as well. https://www.genestratton-porter.com/about-gene She was a conservationist ahead of her time. Her novel, The Harvester, a best-selling fiction work, was written for the purpose of inspiring readers to take care of the natural plants growing in her native Indiana. The hero in the story maintained beds of wild herbs and plants which he sold for medicinal purposes. I grew up reading her novels, Girl of the Limberlost and Freckles, which inspired a love of birds and nature in me, which I passed along to my daughter, an artist who is currently creating an adult coloring book of Hawaiian wildlife, and flowers.